Hi, Dog Moms and Dads! Hope you’ve had a great day. 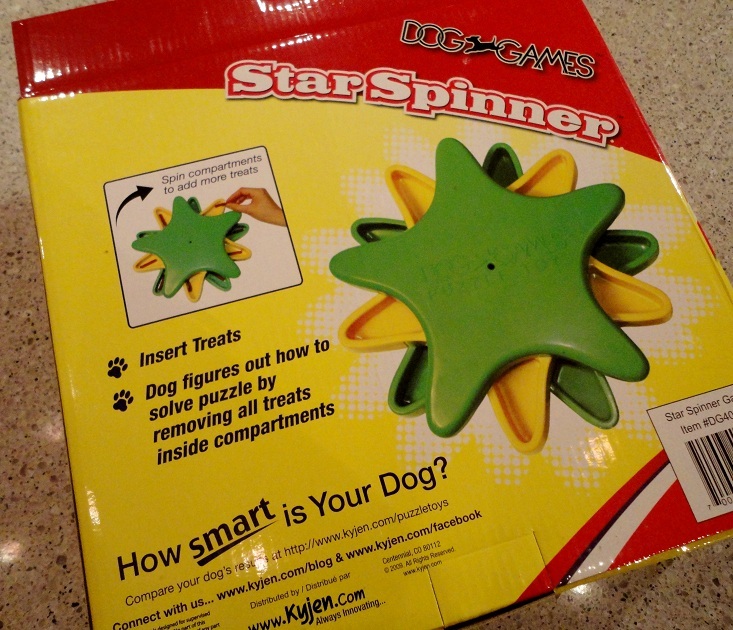 Tonight’s review is on Kyjen’s Dog Games Star Spinner interactive treat toy. I snagged this puppy (heh heh) at Petco earlier this week because I had a store credit. 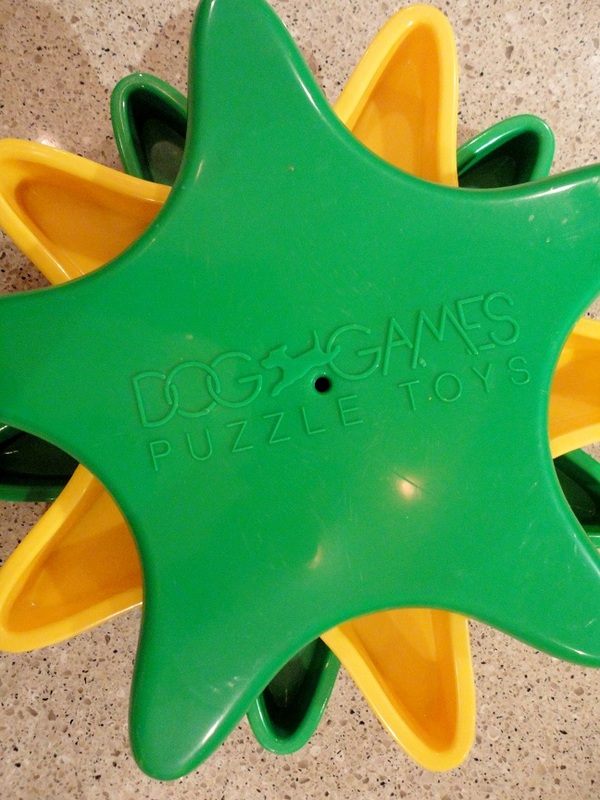 I’d been wanting to get a puzzle toy like this for a while but hadn’t pulled the trigger since they can be fairly spendy. This particular one was $20 but I’ve seen them for upwards of $40. 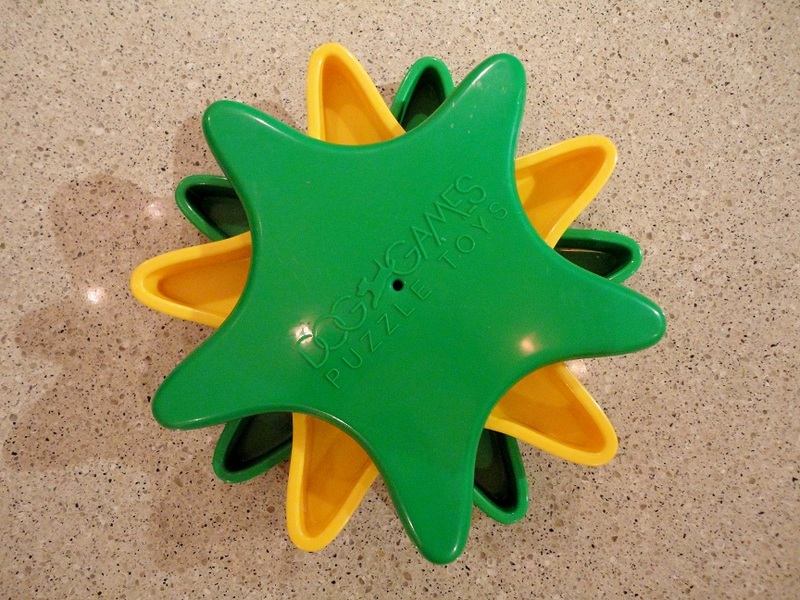 The Star Spinner is a fairly simple contraption made of hard plastic. It’s composed of three layers that spin independently of one another revealing compartments holding treats. 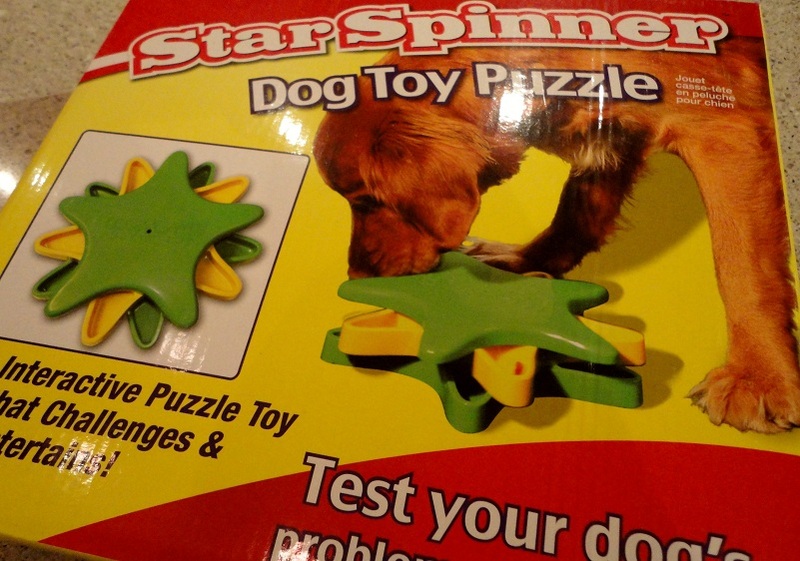 The goal of your dog’s interaction with the Star Spinner is to have he/she figure out that in order to get treats, he/she must move or spin the layers so that the compartments are revealed. This can be done with either the nose or paw. 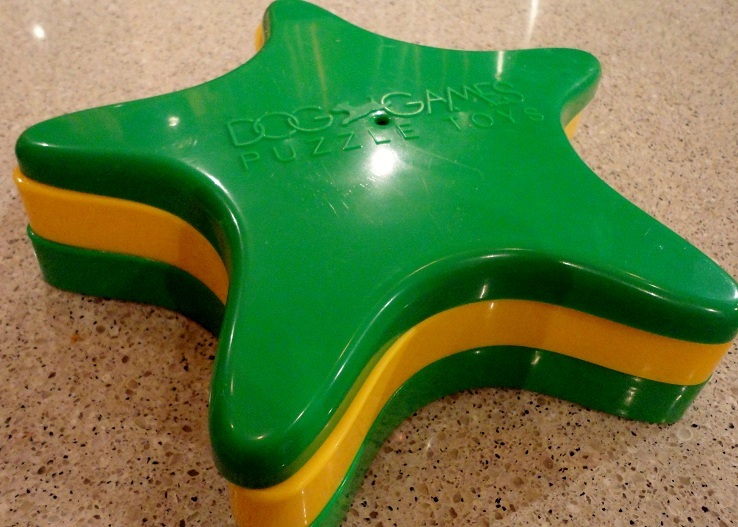 This is an extremely easy interactive toy to prepare for your dog. It takes roughly one-half the amount of time that the Twist ‘N Treat and the Tessa take to get ready. 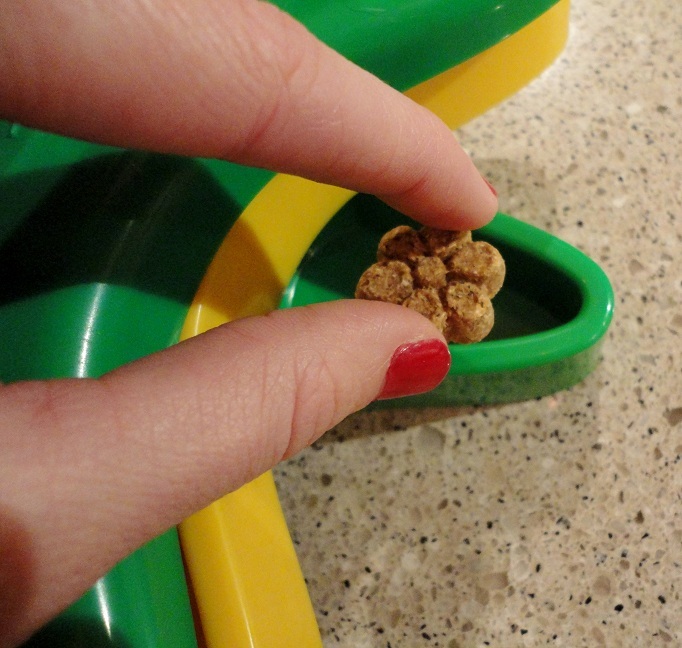 To get the Star Spinner ready for your dog, simply place treats (Fruitables make great Star Spinner treats!) in random compartments of the three layers. 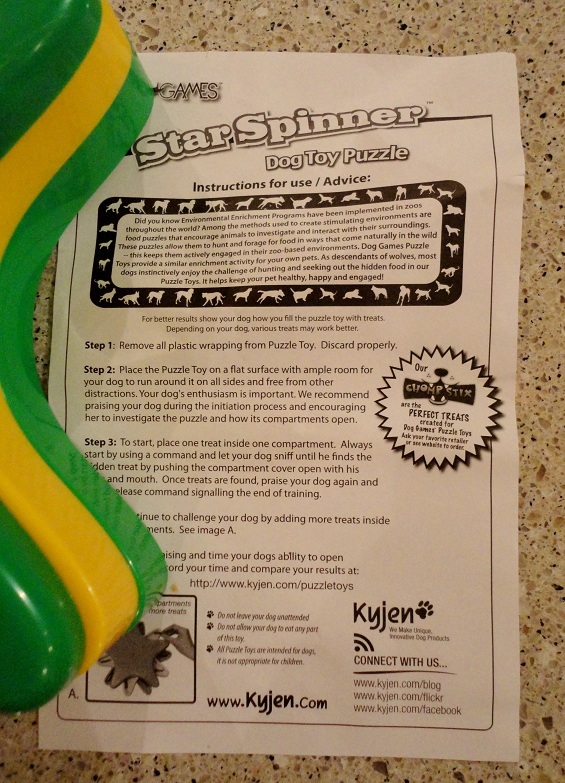 The instructions that Kyjen gives for using the Star Spinner are pretty detailed, but in my opinion one of the most important keys to success is allowing your dog to watch you put treats in the toy. That way, they can begin to associate the toy with treats. 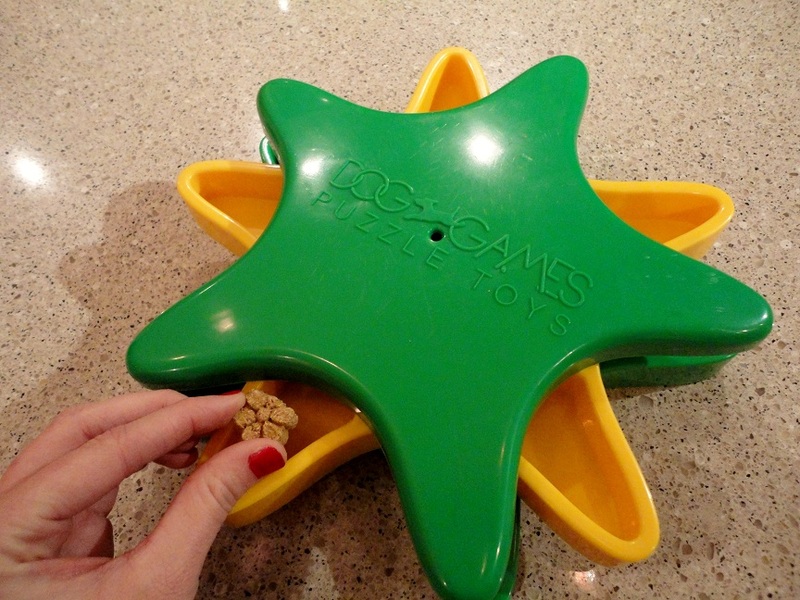 Once your dog has watched you place the treats in the Star Spinner, let your dog go sleuthin’! In fairness, this video recording is of the second time The Little Blogger used the Star Spinner. However, it took him merely seconds to understand that he had to spin the levels to reveal the treats. He used his paws more frequently the first time around, but I think that might have something to do with the fact that the toy was on the carpet, rather than tile. He gets nervous when there is a greater chance of slipping (either for himself or a treat/toy). We give the Kyjen Star Spinner two paws up! It’s reasonably price at $20, it’s easy-as-pie to use, it’s fairly intuitive for Teton (and I’d guess for most other dogs, as well), and it’s fun! I’d like to try some of Kyjen’s other interactive treat toys, as well. Check out their full line up here. The Treat Triad looks intriguing. You may remember his sock monkey sweater from last week. Rather than exchange it for a larger size, I’m going to get my dinero back because Teton’s Auntie L found him this sweater at Mud Bay (our favorite place) for half the cost! (Don’t be fooled by FabDog’s $45 price tag. This bad boy was only $25 at Mud Bay!) 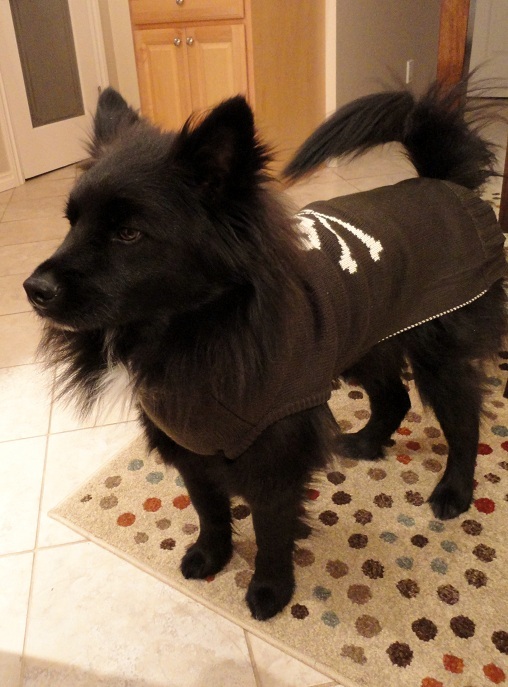 Frankly, he’ll wear this more and I’ll feel less guilty because it doesn’t have a hood. With monkey ears. Speaking of monkeys…I think it’s time I go monkey around with The Little Blogger and get some of his energy out. Have a great night! 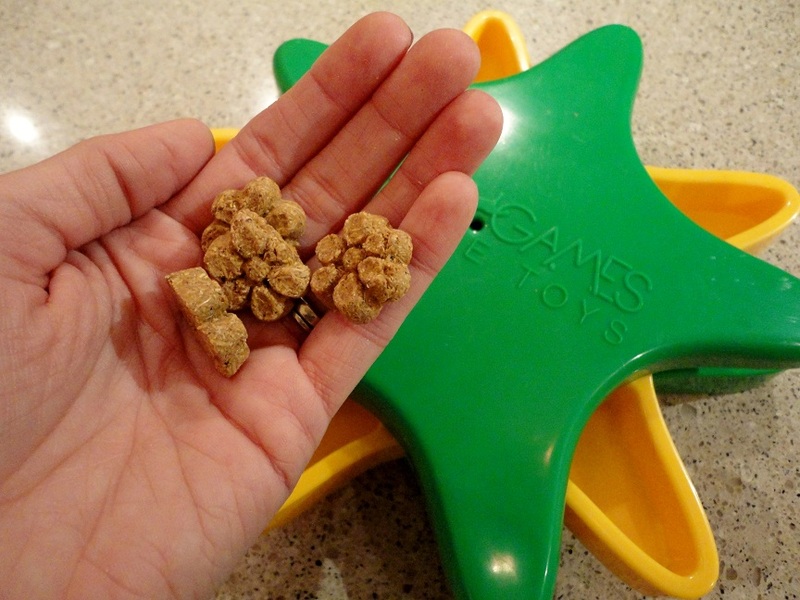 Posted on December 1, 2011 by Shannon	This entry was posted in Toy Chest. Bookmark the permalink.